Barley & Hops, this place was tops! One of the cities that is within a 90 minute drive from our hotel is Milwaukee, Wisconsin. I had flown into Milwaukee once and driven quickly out of it. That was the sum total of my adventures in the fair city. To visit Milwaukee on one of the best July days was a one day highlight of my summer. We started out at the Miller Brewery. I didn’t have any idea what I was in for. It was a great mix of history, manufacturing and olfactory experiences. 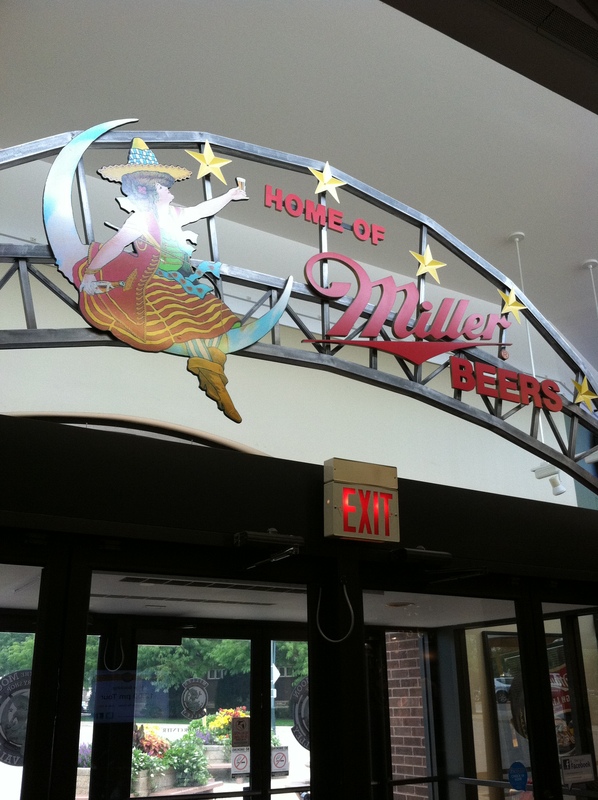 To add to the significance for me was the fact that Mr. Miller began his brewery exactly 100 years before my birth. They were probably whooping it up pretty big celebrating that year on my birthday and their 100th anniversary. Our day involved lots of walking and smelling of mash and wort and other funny words that produced an odor that permeated the east side of Milwaukee. The folks around don’t mind I’m sure since the Miller Brewing Company employs 700 people and covers 82 acres of real estate in downtown Milwaukee. 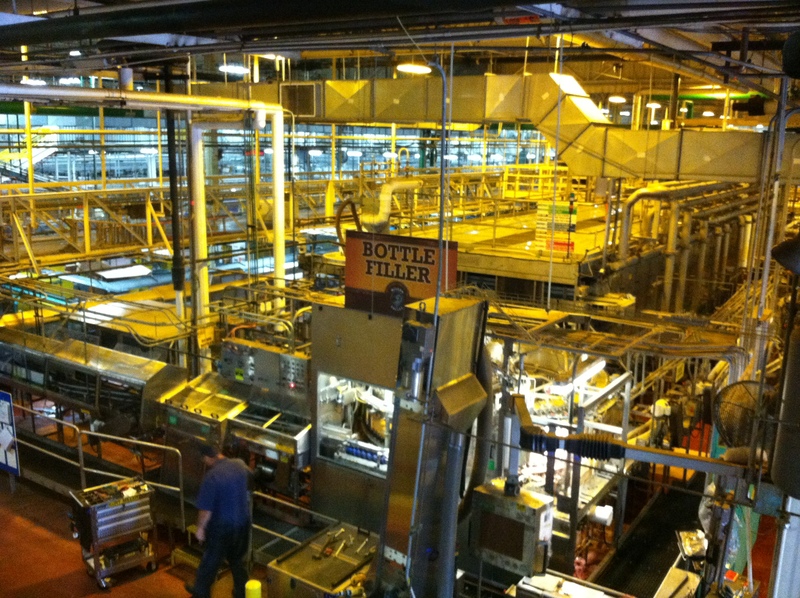 The one fact that impressed me the most was that a machine can fill 2000 cans in one minute! Now THAT my friends is automation! After our tour and trip into the Caves of the place where Fred Miller kept his beer cold with ice harvested from nearby Lake Michigan. The dark, dank odor of oldness was pretty strong there but the visual delight of Miller himself explaining it all thanks to laser lights and high tech sound made me forget my nose for the moment. “If those walls could talk” came to mind as I pictured the 1000s of barrels of beer that would have been stacked up over the years and the many hands that placed them there. If the political scene is getting to you, a trip to Wisconsin that DOESN’T involve politics may be just the treat you are looking for.